Check out the night's most outrageous looks. 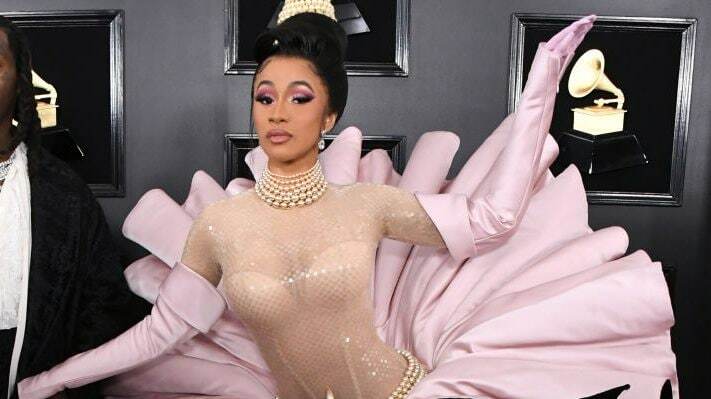 Music‘s biggest stars are taking some major fashion risks at the GRAMMYs this year and we’ve got the rundown on the jaw-dropping ensembles on the red carpet. Wild outfits seemed to be a trend this year and there was also lots of love in the air with couple like Cardi B and Offset, Alicia Keys and Swiss Beatz, and Travis Scott and Kylie flaunting their romances and their fashions. 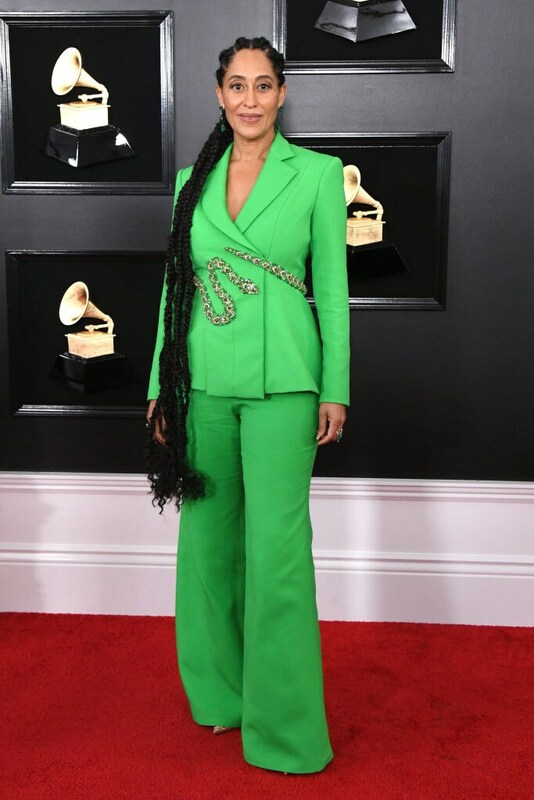 The black-ish star donned a daring green pantsuit with an elaborate snake belt wrapped around her waist.